Eurocoils have invested in the latest fully automated return, elbow and cross over bend fabrication plant from Burr Oak Limited. 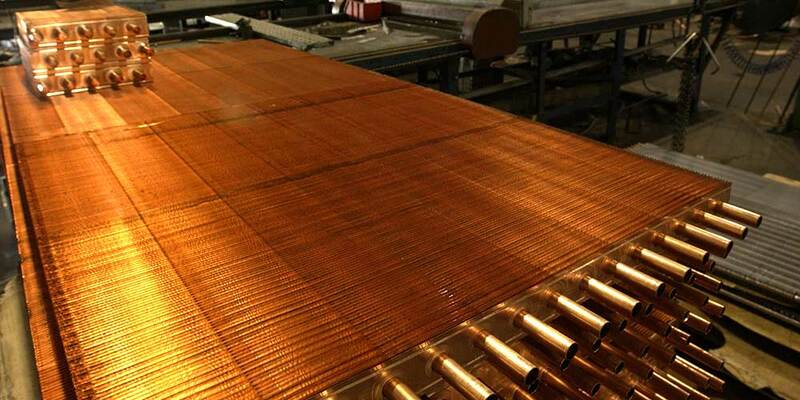 This investment ensures that Eurocoils have full control over all of the components required for coil manufacture improving quality and reducing lead times. The investment in this equipment allows this service to be offered to others and Eurocoils are actively looking for orders of return and cross over bends in varying quantities with the flexibility to provide quantities from 100 upwards. Any combination of bend in 3/8", 1/2" and 5/8" diameters can be considered in varying lengths and angles primarily from copper tube though other materials can be used. Please contact Eurocoils Ltd in Kent on 01795 475275 for specalists in the design, manufacture and supply of heat exchanges for hot water, chilled water, steam, direct expansion refrigerant evaporators/condensers and brine as well as heat reclaim coil systems.